We have won an invited competition for a new senior school building at Crosfields School, a co-educational independent day school in Reading. This is one of two new projects for us in the private education sector and we are looking forward to drawing on our in-depth knowledge of education buildings, having delivered 15 school projects over the last ten years and acted as technical advisors to the Education and Skills Funding Agency on their Free Schools and Priority School Building programmes on what is approaching a further 40 new schools. 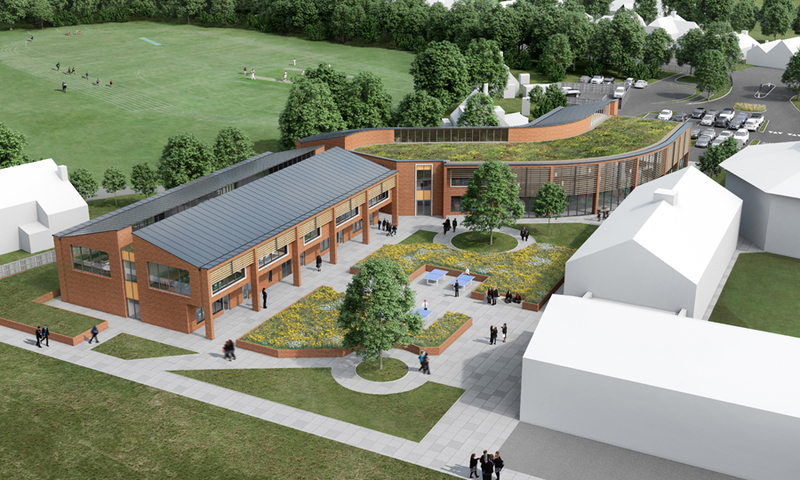 Our proposal at Crosfields will enable the school to extend its current academic offerings from 3-13 year olds up to 16 year olds with a new senior department with teaching and learning spaces for the GCSE curriculum. The existing school is made up of single and double storey buildings set around courtyards and green spaces, with a pleasant campus-like feel. Our new building continues this, carefully weaving between the existing trees across the site and creating a new senior school courtyard with views across Reading. 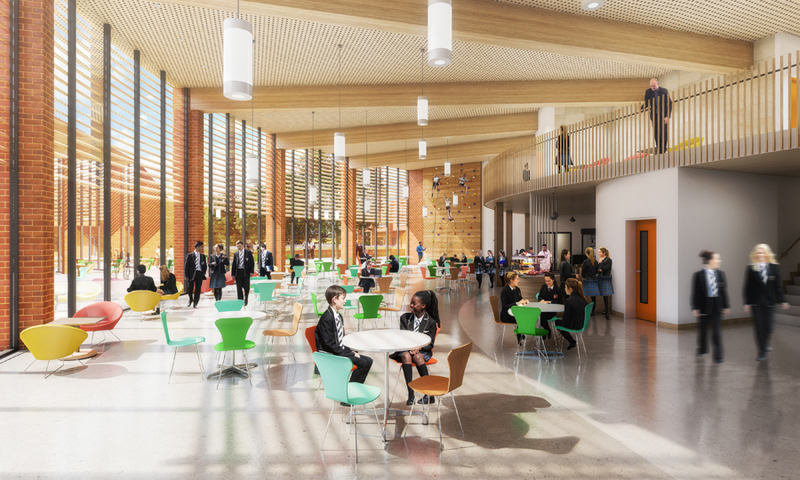 To allow the school to continue to operate during construction, a phased approach is being taken with the first phase including a new front entrance, nine new classrooms, staff area, welfare hub, library, flexible performance space and a café that spills out into the courtyard. The second phase will follow once pupil numbers have increased and will include further classrooms and improvements to the current facilities for younger children. Planning is due to be submitted in early summer.